Stock photo of sign outside the Manitoba Museum in the city of Winnipeg, Manitoba, Canada. 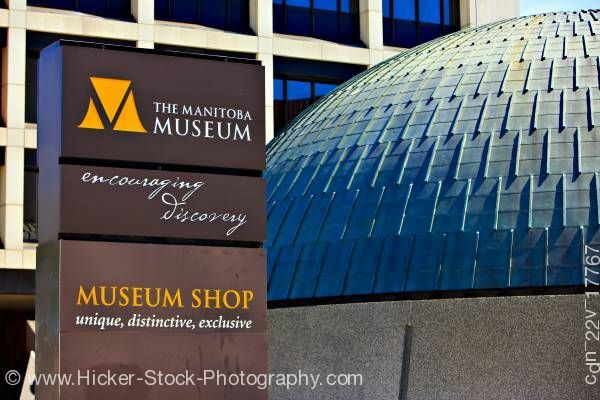 This stock photo includes the sign outside the Manitoba Museum beside a dome-topped structure with a taller building in the background. The museum is located in the city of Winnipeg, Manitoba, Canada.